Following up on a preview of the deal we reported during last week's CES, Dell has officially announced the details around its role as the first company to resell the Meta 2 augmented reality headset. The partnership gives Dell an AR offering, alongside its bread and butter PC unit, to sell to its enterprise customers. Starting on Feb. 15, Meta 2 will be available through Dell's website for $1,495. "We're excited about this new partnership with Meta and the opportunity to further transform industries with AR," said Rahul Tikoo, the vice president and general manager of the Dell Precision workstations unit, in a company statement. "There continues to be tremendous potential for VR and AR across various industries and in addition to building technology powerful enough for the job, we're also committed to working with our innovative partners to make AR more comprehensive and accessible for our commercial customers to explore and adopt." 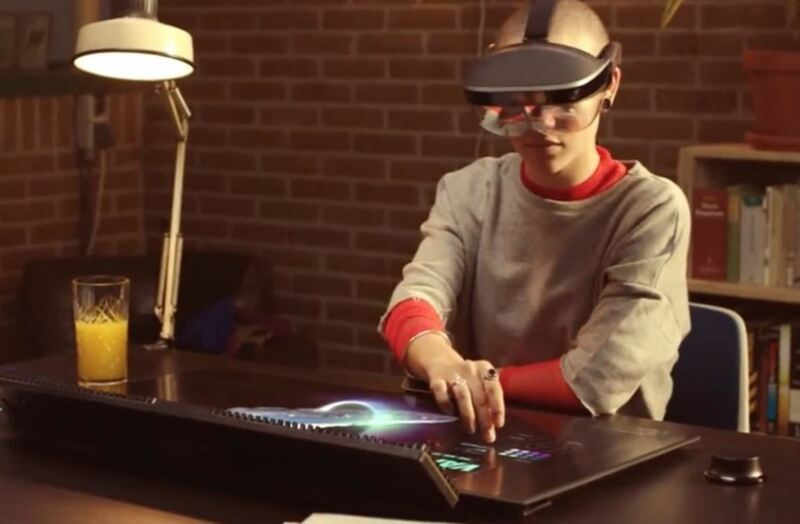 Compatible with Dell Precision workstations, Dell Canvas, and other Dell PCs designed for professionals, the Meta 2 will also be available to customers bundled with other other products. One of the targeted business verticals is healthcare, where the Medical Holodeck app for Dell Canvas will enable doctors and other medical experts to collaborate remotely in AR. Dell sales representatives and channel partners will also be equipped with an "AR in a box" platform, a tool they'll be able to use to pitch AR to businesses. Dell claims the partnership, nurtured through its Technology Partners Program, makes it the only technology provider with "an end-to-end ecosystem to consume, create, and power VR and AR." This is really only true if you don't count Microsoft, which is the company behind the HoloLens, as well as the new range of VR headsets (confusingly named "mixed reality" devices by the company) running on the Windows Holographic platform. Nevertheless, the deal has potentially lucrative implications for Meta as well. By securing the Dell relationship, Meta has effectively increased its salesforce by several orders of magnitude. As a result, this deal could eventually make Meta a household name. "We're very excited for this partnership with Dell," said Joe Mikhail, Meta's chief revenue officer. "Dell users will now have the opportunity to get their hands on a seamless AR solution that is considered the best on the market by many ... We are certain our partnership with Dell will deliver our game-changing technology into many creative hands and drive productivity measures to both developers and corporates alike." This is the moment Meta has been waiting for. Over the past year, the company has made a strong case for its flavor of AR being the key to replacing traditional desktop displays in offices around the world. Dell now gives the company the opportunity to make that vision a reality.